Hearing Loss and Heart Health- What's the connection? 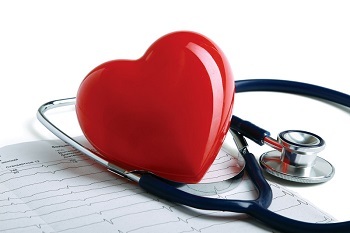 Along with Valentine's Day, February marks National Heart Month. Heart disease is the nation's leading killer among women and men, it is also linked to various other health issues that can affect your quality of life. One such issue is hearing loss. Researchers still aren't one-hundred percent sure why hearing loss and heart health are linked, but they've now have evidence from several decades that prove the two health issues are indeed linked to one another. Evidence of this surprising link grows stronger every year, for example, one 1994 study in Medicine and Science in Sports and Exercise found a established link between cardiovascular fitness and hearing loss, the reason as to why is still unclear. Experts are in the early stages of proving that damage of blood vessels caused by heart disease can decrease the blood flow to the ears, which is vital for hearing. However, experts weren't always sure what came first: the hearing loss, which could indicate future onset of heart disease, or hearing loss caused by Cardiovascular disease. Charles E. Bishop, AuD, Assistant Professor in the University of Mississippi Medical Center's Department of Otolaryngology and Communicative Sciences, encourages Americans to take cardiovascular disease seriously, both for it's life-threatening effects and impact on all areas of life, including hearing health. Bishop finds the evidence between heart health and hearing loss so powerful he feels as though the ear may be a window to the heart. He also believes that a close partnership between the two medical practices will provide the best care possible for patients. "Hearing health should not be assessed in a vacuum," said Bishop. "There is simply too much evidence that hearing loss is related to cardiovascular disease and other health conditions. It's time we maximized the information we have in order to benefit the individual's overall wellbeing." Over 17 million people die per year from heart disease. Be sure to get your hearing and heart checked on a yearly basis to ensure you are keeping your heart and hearing healthy.